You can stop worrying whether you’re covering enough with our open and go Third Grade Daily Lesson Plans. Yes, you can sleep well using our open and go third grade daily lesson plans and finally stop lying awake, worrying about covering enough! With our plans you’ll study history, science, language arts and fine arts together. And all organized within the framework of nine historical units covering from Creation to Modern. 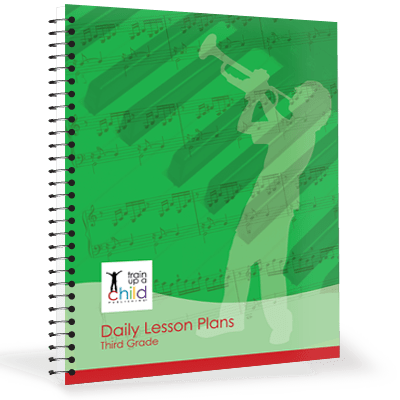 Additionally, our structured third grade daily lesson plans offer you an easy to follow, clear and organized, detailed, daily plan. No textbooks here! Instead you’ll be using real, living books you gather from your public/church library or online at Amazon.com. See the books we recommend in our third grade lesson plans here. Click to see the Scope and Sequence of our Third Grade Daily Lesson Plans. This is our 3rd year using daily lesson plans. 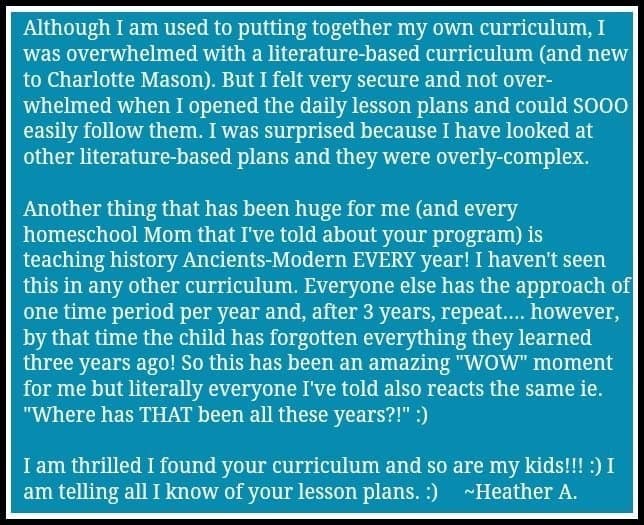 I can’t say enough great things about this curriculum. I love that we start each year in the Bible, its a great way to start off the school year. I personally have learned so much history and sometimes I will catch my high schooler listening in. Spelling words are pulled from the weekly reading so my daughter makes a connection with the words instead of just handing her another “boring” list of words. And as with each year we are enjoying all the great books!